I like to think about every detail of the books I create. The story and artwork might get the most attention, but one of the parts I most enjoy about the book making process is thinking about such elements as the spine, the flaps, the dedication, and endpapers. I want every bit of the book to be the best it can and for me that means fun and appealing. So when I found out Tundra Books likes to do posters on the back of the book jackets I was thrilled. Below are some of my initial designs for the poster. They are bold and graphic (both qualities I like), but the content wasn't all that interesting. Another thought I had was to feature all the characters from the book. But there was no new content (different than what already is in the book). Then I saw this video . . . 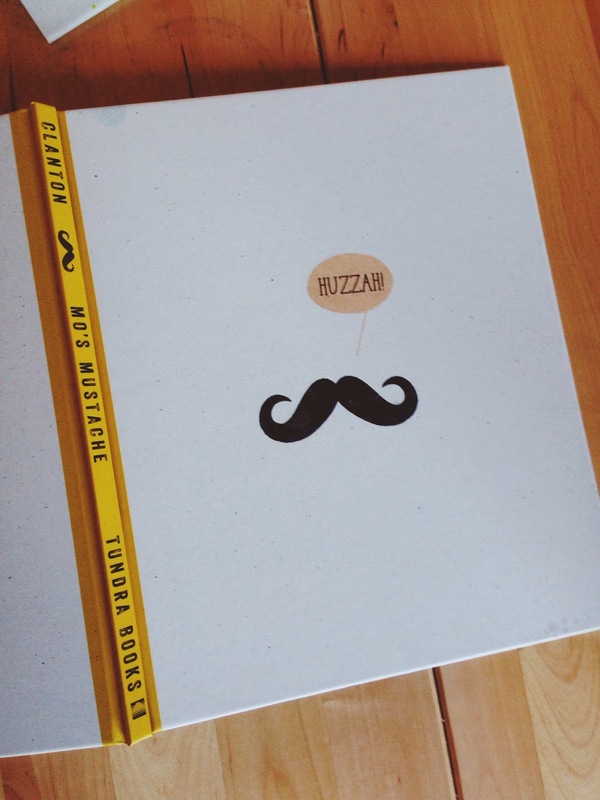 Which gave some extra inspiration to an idea my editor (Tara Walker) had for a mustache manual . . .
My first go at making a mustache manual was too text heavy, but I felt that I was headed in the right direction for the jacket's poster. It just needed a little simplifying . . . 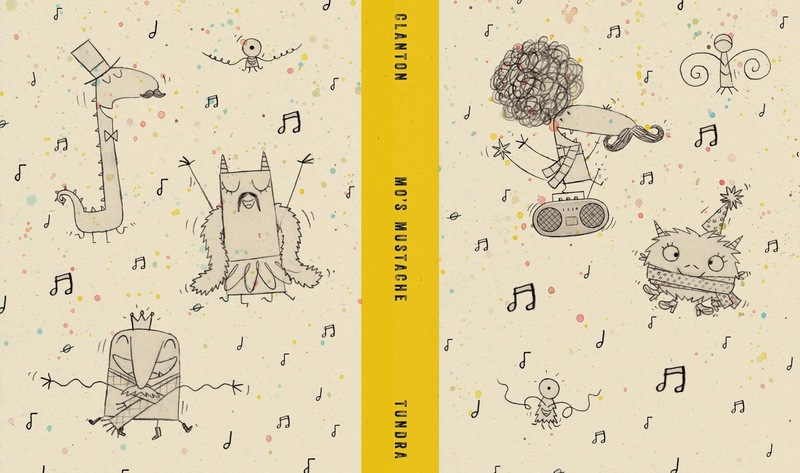 But not only does the book have a nifty/essential 'Mustache Manual' but also the cover-wrap for the book is unique (different than the jacket). I love it when there is a surprise under the jacket and I thought 'what better surprise is there than a mustache party?' . . . The trouble with the mustache party was that it didn't quite fit with the classic/retro feel we were going for with the book design. Unlike the poster this element really needed to be quite simple. So of course I went with a mustache saying 'HUZZAH!' . . .
And that is how I went about making the jacket and cover-wrap for MO'S MUSTACHE (a stylish book for fashionable people).